Every other person is turning into a singer these days and it’s a trend now! Thanks to autotuning technology! No matter if you are a professional or an amateur, autotune is for everybody! Autotune is a mandatory thing for every singer these days. Hence in this blog we are up with the best autotune apps that will bring the singer out of you. Autotune usually requires a heavy setup with extravagant machines and microphones. But the computer technology is a saviour! It has got you covered. These days you can do this elaborate process with a mobile application. And the results will amaze you for sure! It can be also said that it is a facility for tuning something automatically. Especially a computer program or code which does the correction of an out of tune vocal performance by its auto-tune facility. There are several auto-tune apps already available in the market. These can be downloaded from different platforms like ANDROID, IOS and WINDOWS. We will talk about some of the best autotune apps for android available in the market. 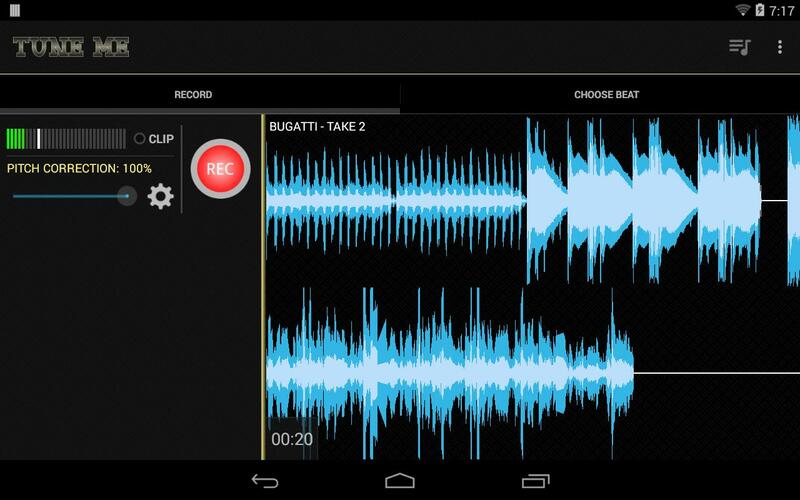 This app lets you record your voice and combine it with the auto-tuner. It also helps you shift the pitch and alsocorrects any pitch. It also has a pitch shifter feature that helps you bringing out the fine tune of your voice. The app is compatible with Android and IOS platforms. ‘Tune Me’ helps you sing like a pro and makes your voice beautiful (for free). You can sing over any mp3 song or it’s instrumental. Also, it lets you download any free background beat, like T-Pain or Akon, and record on it. With a Pitch correction facility available, it helps you sing exactly like your favourite singer. The program lets you download and record any track you like. Along with that, you can share your creativity with others. After done with using the app, you can set your favourite record as your ringtone. This app is among the top list of all the best autotune apps. It’s available on Google Play Store for FREE! concAuto Rap is great when you want to become a hip-hop artist or want to beat your opponents at online battles. Download the famous Samule’s AutoRap application and let this app assist you during your musical journey..Based on auto-tune technology, AutoRap app lets you just enter the speech and convert it into a rap with a proper composition and music. It has proved itself as a musical breakthrough in the mobile industry considered as one of the best autotune apps. After launching the application there are two options that you can follow. One is the Talk Mode and the other is the Rap Mode. The distinction between them is that when you use the Talk mode, you just effortlessly dictate the lyrics of your song and the AutoRap app matches these lyrics with the rhythm. While when you use the Rap mode, you need to follow the chosen tone and sing along. The one and the only major purpose of this app is to make you a star. And not a Local one. I hope you have already understood the basic features of this app. It helps you sing, sing with all your confidence and with all your best. The auto-tune function of Star Maker helps you climb the stairs to success and glorify your dreams. It comes with 500 preinstalled tracks. For getting new cantos or records you may purchase. Your Music will never stop during the recording! On the whole Star- Maker is an excellent application that will help you enhance your singing skills and have a lot of fun, both alone and with your friends. Available on both IOS and Android! Inspired by a show named ‘THE VOICE OF INDIA’ this program for mobile phones called The Voice was created. It will allow you to feel like a star on the stage! After you launch the app, you just have to select a song and you’re ready. You just have to start singing. Now here the app will estimate the accuracy of your performance and enhance/correct it accordingly. Customization of VOX will be done automatically thanks to the embedded Auto-Tune, which makes the performance more great and enjoyable. 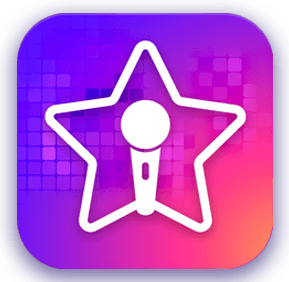 The basic features are same as presented in the karaoke app StarMaker, but here in ‘THE VOICE’ we have some other feature characteristic of the Voice contest. This app is considered one of the best autotune apps for android. It has Great Graphics, which somehow present you the Judges sitting with their backs towards the performer (you!) and if your performance is good then the judges will turn their chairs towards you, just like in the show. Available on both IOS and Android! Also know about the best audio editing software. Above were the best autotune apps that are available on either Android or IOS or both of them. All the applications that were talked about above are available free of cost! Good to know that you liked the article. You can email us at dailyjunkies2018@gmail.com. Happy to know that you find this information worthwhile! Glad to hear that! Thanks a lot! Hello very nice website!! Man .. Excellent .. Amazing .. I’ll bookmark your blog and take the feeds also…I am happy to find numerous useful information here in the publish, we’d like work out more strategies on this regard, thanks for sharing. . . . . .